When board president Susan Skinner first joined the BAHS board her husband, Greg, would try to talk sense into his wife. Twelve years, five dogs and three cats later, Greg has seen the light. An animal lover since childhood, Susan joined the board in 2004 at the request of her neighbor, former BAHS board president Carol Lesko. When Carol left the board, Susan assumed the role of president. She's been our fearless leader ever since. She and Greg, a Belleville attorney, are the proud parents of two children, Brendan and Madelyn. Canine kids include Bella, Sheba, Josey, Bentley and Benji and feline kids are Hannah, Mario and Fluffy. And then there are parrots Derby and Petey. "There is never a dull moment,” Susan said. 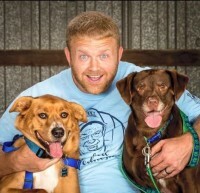 Board Vice President David Padgett combined his two passions – ice hockey and dog rescue – when naming his athletically-gifted pooches. Lab mix Backes is named for former Blues Captain David Backes. And Lab mix, Gordon, is the namesake of Hockey Hall of Famer Gordie Howe. Just as he played ice hockey competitively in high school and college, David plays hardball when it comes to saving animals’ lives. As part owner of Padgett Building and Remodeling Inc., he is instrumental in overseeing building maintenance at the shelter, when he’s not sharing his expertise on financial and membership drive committees. So deep is his dedication, he even encouraged his sister-in-law, Kristina Boron, and stepbrother, Steve Seibert, to join the board. David’s wife Kim, an RN at St. Anthony’s Medical Center in St. Louis, loves animals and ice hockey as much he does. The couple’s other shared passion -- their new daughter Stella Lucille --is sure to follow in her parents’ footsteps! As a child, board Secretary Shelly Korves brought home every injured rodent she could find. As an adult, the vivacious owner of Tribout Carnival Supply in Belleville is still saving homeless animals through her strong commitment to fostering and fundraising. The shelter’s resident carnie, Shelly can throw a party like nobody’s business. Race for the Rescues, Glo Bingo, the Howl’oween pet parade, the Doggy Easter Egg Hunt and the Doggy Ice Cream Social each bear her signature touch. Married to BAHS volunteer Jack Korves, she is the proud mother of three two-legged children – Kayla, Brett and Todd; six four-legged children – Diesel, Jose, Gus, Pebbles, Penny and Molly; and one spoiled rotten three-legged baby – Nemo, an adorable Dachshund mix who gets around just fine. All of Shelly’s pets are rescues and if it were up to her, yours would be too! 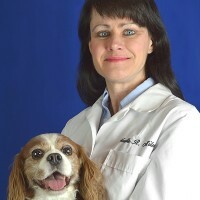 As a little girl, Noelle Miles dreamed of being a veterinarian. Her dreams came true – and so did ours – when this talented and compassionate professional began volunteering with BAHS. Since joining our board a dozen years ago, Dr. Miles has treated hundreds of homeless animals pro bono. The mother of BAHS alum Fenway, a border collie, and HSMO rescue Charlie, a King Charles Cavalier Spaniel, she visits the shelter on her days off to perform spays and neuters. An avid runner, Dr. Miles also assists with our annual Race for Rescues. 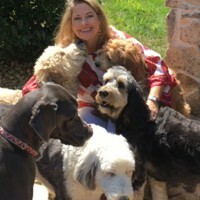 A lifelong animal lover, Kathy Simmons is the proud mother of three rescue dogs – Phoebe, the princess, Jessie, the cuddler and Bunny, the party girl. Casa Simmons also serves as a bed-and-breakfast for several pampered kitties, including June Bug, who never met a stranger and Coco who takes a while to warm up to you – but when she does watch out! Known as the board’s resident cheerleader, Tricia’s optimism is contagious. From donning a giant bunny costume at our annual Doggy Easter Egg Hunt to skillfully manning silent auction checkouts, Tricia is up for anything and everything. 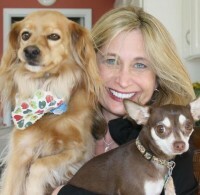 “My love of animals and great experiences with fellow volunteers has kept me enthusiastic about the Humane Society,” explained the real estate broker, who works for her family’s business, Tialdo Realty in Belleville. 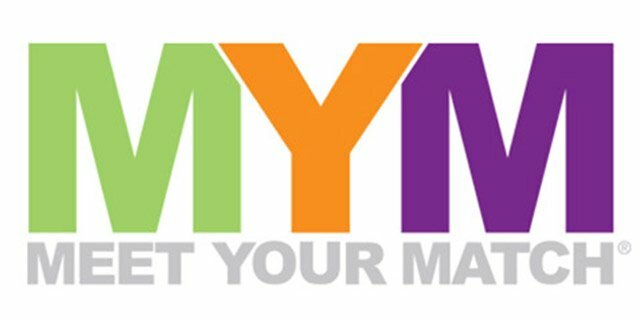 Tricia joined the board in 2011 after seeing the slogan “Until they all have homes” on the BAHS website. After years of helping people find their forever homes, she felt compelled to help animals do the same. A member of the Realtor Association of Southwestern Illinois (RASI), Tricia was named the organization's 2005 realtor of the year, as well as its 2013 community award recipient. She also served as the association's 2014 president. 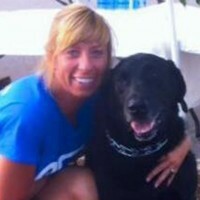 Her four-legged son, a black Lab named Trapper, couldn’t be more proud of her efforts. Journalist Michelle Meehan Schrader often writes about the antics of her colorful rescues in a bi-weekly column for the Belleville News-Democrat. BAHS’s longest-sitting (and sometimes standing) board member, she became a director in 2002 after seeing a pregnant dog running along the highway in rush hour traffic. 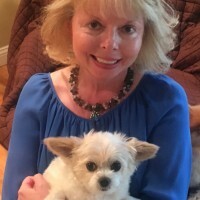 Editor of the shelter’s newsletter and contributing feature writer for the BAHS website, Michelle can often be seen walking in BAHS parades, hawking our T-shirts and assisting with adoption and fundraising efforts. A lifelong animal lover, she lives in Smithton with her husband Mark, an Belleville attorney, and their two-legged son Sam. After eight years of owning and operating Big Daddy’s in Edwardsville, Steve Seibert finally could relax long enough to catch his breath. 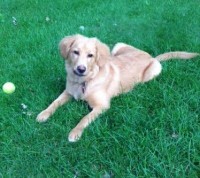 His present pup is a brilliant and energetic Golden Retriever rescue named Tripp. The two take long runs together in an effort to wear each other out. The day was hot and the drinks were cold. We plan to do it again next year! A newcomer to BAHS, Kristina came “on board” at the encouragement of her brother-in-law, board Vice President David Padgett. Because her adorable 6-year-old beagle mix, Captain, is a BAHS alum, she knows firsthand the joy adoption can bring. A Risk Compliance Audit Consultant Officer for a bank that monitors the importance of treating customers properly, Kristina says her company encourages employees to volunteer within their community.